"Standard Fuel Injector --. Fuel type : Gas Fuel Type. Condition : New. See product for application and installation details. ". Therefore all implied warranties that may apply to your part are limited to the duration of this written warranty. "Beck Arnley Fuel Pressure Regulator --BECK ARNLEY FUEL INJECTION PRESSURE REGULATOR. Beck Arnley's years of experience and proficiency in global sourcing provides vehicle owners the precise part for the right and most up-to-date vehicle applications. ". "Standard Fuel Pressure Regulator --. Standard Fuel Pressure Regulator. Condition : New. 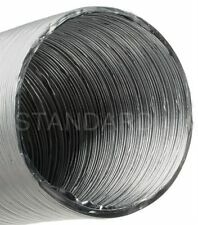 Has a robust design for better leakage resistance. Therefore all implied warranties that may apply to your part are limited to the duration of this written warranty. Established in 1959! Part Number: FV-7. 92 Nissan 300zx non turbo 2 2 with automatic transmission. NISSAN OE 2206030P00. The knock sensor responds to spark knock caused by Pre-detonation of the Air/Fuel mixture. Ignition Knock (Detonation) Sensor! 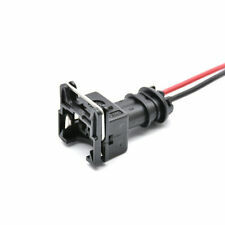 High quality Kefeng Ignition Knock (Detonation) Sensor. Part Number: KS79T. Established in 1959! 1984 Nissan Z31 300zx Turbo Wiring Harness. Including the 1990-1996 Nissan 300ZX, 1990-1993 Infiniti Q45, and 1989-1993 Nissan Maxima. This ring is thelower o-ring, located on the injector itself. This o-ring is composed of a soft, flexible, fuel resistant rubber. This item pulled out from 1984 NISSAN 300ZX. 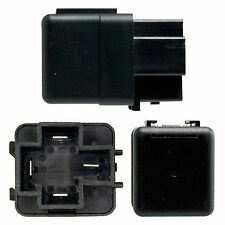 This item is compatible with 1984-1986 NISSAN 300ZX. Used parts may show sign of wear, including marks and/or scratches. "Standard Fuel Injector --. Condition : New. See product for application and installation details. ". Therefore all implied warranties that may apply to your part are limited to the duration of this written warranty. FE0335 1704232P00,E8113. Applications:1990-1996 Nissan 300ZX V6-3.0L 4 Seater; Natural. 1x Fuel Pump Module. Cross part number. 199 3 -199 4 Infiniti J30. 1990-1996 Nissan 300ZX. 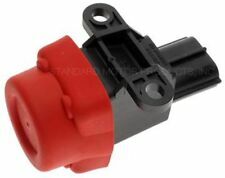 Factory Nissan Fuel Temperature Sensor. Part Number: DH2. Established in 1959! 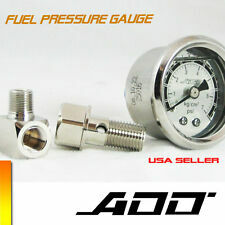 "OES Genuine Fuel Pressure Regulator -- - - ". Condition : New. Therefore all implied warranties that may apply to your part are limited to the duration of this written warranty. Each warranty gives you specific rights, and you may have other rights which vary from state to state. Part Number: KS79. Established in 1959! 6 x Connector Harness for Nissan 300zx 240sx 200zx rb25det sr20 s13 r32 fuel injector. nippon denso fuel injector connectors adapter case for Nissan sr20 s13 r32. NISSAN INFINITI . We strive to get your orders to you as quickly as possible. "Bosch Fuel Injector --. BOSCH FUEL INJECTOR. Condition : New. Therefore all implied warranties that may apply to your part are limited to the duration of this written warranty. Each warranty gives you specific rights, and you may have other rights which vary from state to state. DONOR VEHICLE :1990 NISSAN 300ZX (2 2) NON-TURBO. FUEL PRESSURE REGULATOR. QUALITY: OEM. Our warranty is forPARTS ONLY. Not many signs of wear. Part Number: DH6. Established in 1959! Established in 1959! 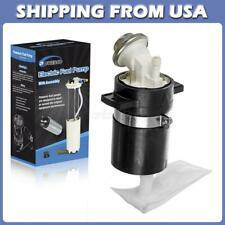 Part Number: S-697. This ring is the lower insulator cushion, located between the fuel injector and the manifold. (If you have a 4-cylinder, you will only need 4 pieces. Made in Japan. Applications: This ring fits various Nissan applications. ). 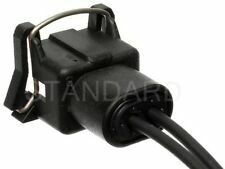 Connector will fit many different vehicle make and models. Wiring Harness Fuel Injector Connector Kit. Warranty is not transferable. Top Quality! Including the 1990-1992 Nissan 300ZX non-turbo (note: only fits up to production date 6/92; June 1992 is considered a 1993 model, but if the production date is 7/92 or up, this seal will NOT fit), 1992-1996 300ZXturbo, and 1989-1994 Nissan Maxima. 5 out of 5 stars - Fuel Injector Rail Lower Cushion Ring Seal for Nissan - Pack of 2 Ships Fast! 1 product rating1 product ratings - Fuel Injector Rail Lower Cushion Ring Seal for Nissan - Pack of 2 Ships Fast! 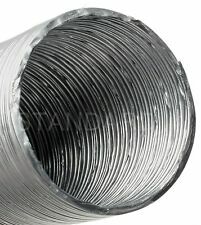 It is composed of soft, flexible rubber. This ring is the lower insulator cushion, located between the fuel rail and engine. (Each injector requires one lower cushion ring. If you are servicing all six injectors, you will need a quantity of 6). This ring is thelower insulator cushion, located between the fuel injector and the manifold. (If you have a V6, you will need 6 pieces. Made in Japan. Applications: This ring fits various Nissan applications. ). "Standard Fuel Injector Seal --. Quantity sold : Set. Condition : New. Therefore all implied warranties that may apply to your part are limited to the duration of this written warranty. Each warranty gives you specific rights, and you may have other rights which vary from state to state. Will suit SR20 and ka24 factory injector harness. Adapters will allow the STI injectors to plug right into your factory injector harness. No cutting or soldering wires necessary. Common upgrade for the SR20/KA24 ENGINE. Factory Original equipment Direct Replacement Excellent condition. Secondary injection pump valve, EGR vacuum solenoid & mounting bracket. These parts have been removed from a 1986 Nissan 300ZX with 31,000 miles that has been stored insode since 1989. We will be listing many more extra clean low mile parts from this vehicle. All of ur parts are professionally tested before listing. Please check our eBay store for more genuine Z31 parts. Thank you!. Made in Japan. Applications: This ring fits various Nissan applications.